The AgShare project aims to create a scalable and sustainable method of filling critical gaps in agriculture related curriculum through a redesigned MSc process. 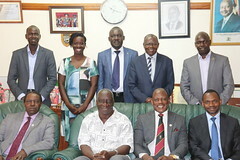 The Regional Universities Forum for Capacity Building in Agriculture (RUFORUM) supports universities to address the important and largely unfulfilled role that universities play in contributing to the well‐being of small‐scale farmers and economic development of countries throughout the sub‐Saharan Africa region. Through the AgShare II project, RUFORUM plays two key roles – to support the wide dissemination of the Agshare Methods and support Agshare Champions. In 2014 RUFORUM conducted a professional development needs survey focusing on staff from RUFORUM member universities that participated in Agshare I and those that participated in previous RUFORUM E-learning activities. The survey sought to find out two key issues: a) What had happened since staff engagement in Agshare I and RUFORUM e-learning initiatives? and b) What were the professional development needs of the staff? Fourteen staff responded to the survey. According to the findings, Fifty percent (50%) said that the greatest value to them for being part of developing open educational resources has been receiving useful feedback for their content. Amazingly only one out of fourteen was inspired to enroll for an online course. Seven (50%) respondents said that their students had been involved in providing feedback to their content and therefore enriching it. The top two professional development priorities identified by through the survey were (a) learning how to use participatory action research concepts and (b) facilitating community engagements and student participation. It was interesting to note that only 2 respondents considered it their priority to learn how to learn online. Click here to view the findings. This survey has informed the professional development activities for the Agshare Champions. Through the Agshare Champions mailing list opportunities for training and professional development continue to be shared. During the implementation of Agshare II activities the teams are encouraged to develop capacities in participatory action research and community engagement. The RUFORUM Secretariat considers skills enhancement for staff and students in the member universities to be critical if we are to produce quality research, quality students and eventually improve the agricultural sectors in the member countries. 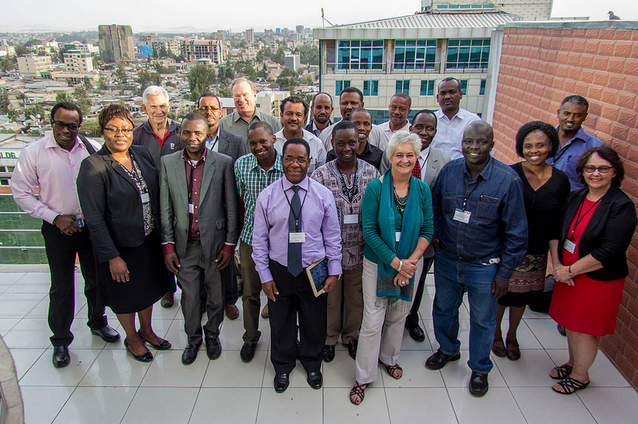 Therefore the Secretariat working with member universities is prioritizing investments in this important area through the RUFORUM Community Action Research Programs (CARPs) and the Field Action Program Award (FAPA). We believe that through these programs, universities will be able to address their professional development priorities.